All our publications are available online. Click on any title to read that publication on our website. You can download a PDF or order a print copy of some publications. How Does Noise Damage Your Hearing? Information concerning how we hear; the signs, symptoms, and causes of noise-induced hearing loss; and how you can help children and preteens protect their hearing. Find out how loud is too loud on the farm. 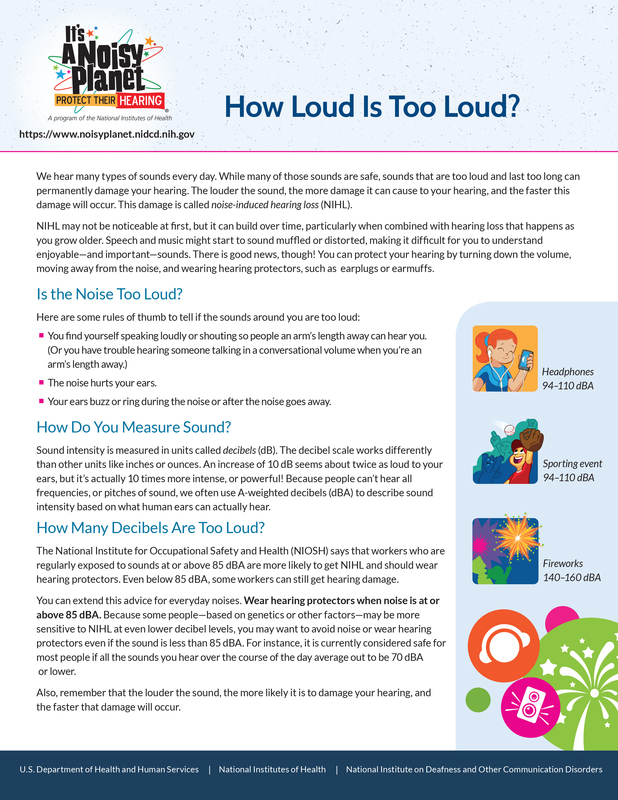 Information concerning how sound is measured, when sounds are loud enough to damage your hearing, how to protect your hearing, and how to teach children and preteens about healthy hearing habits. A bookmark that presents the decibel levels of various electronic devices, vehicles, machinery, and conversations, and discusses ways to protect your hearing. 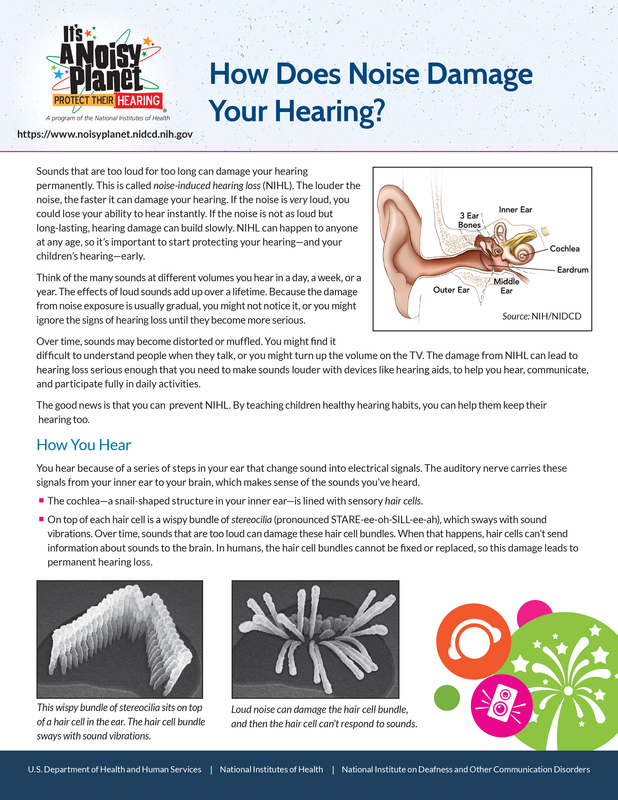 A poster that presents the decibel levels of various electronic devices, vehicles, machinery, and conversations, and discusses ways to protect your hearing. Too much noise on the farm can harm your child’s hearing. Provides suggestions for parents on how to reduce noise in the home. A tip sheet for parents of children who live or work on a farm. 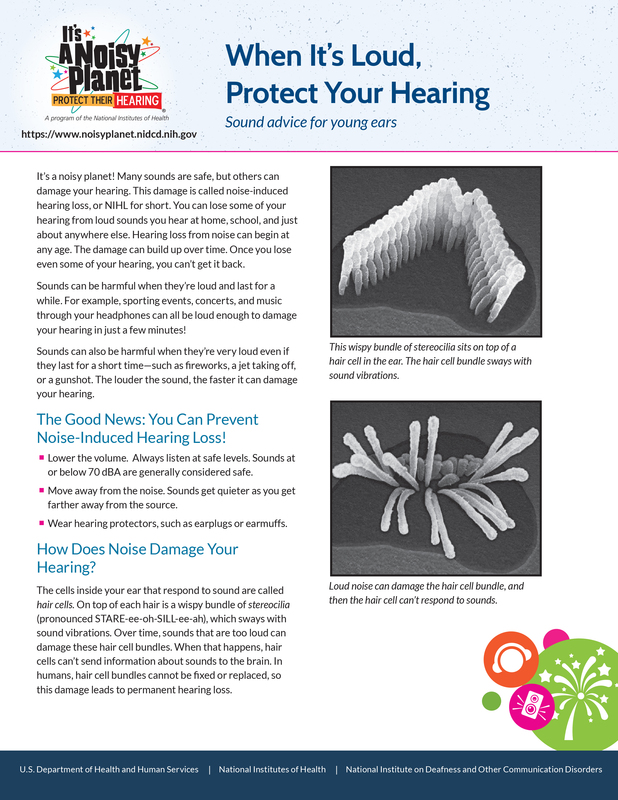 A poster that presents why and how to protect your hearing. 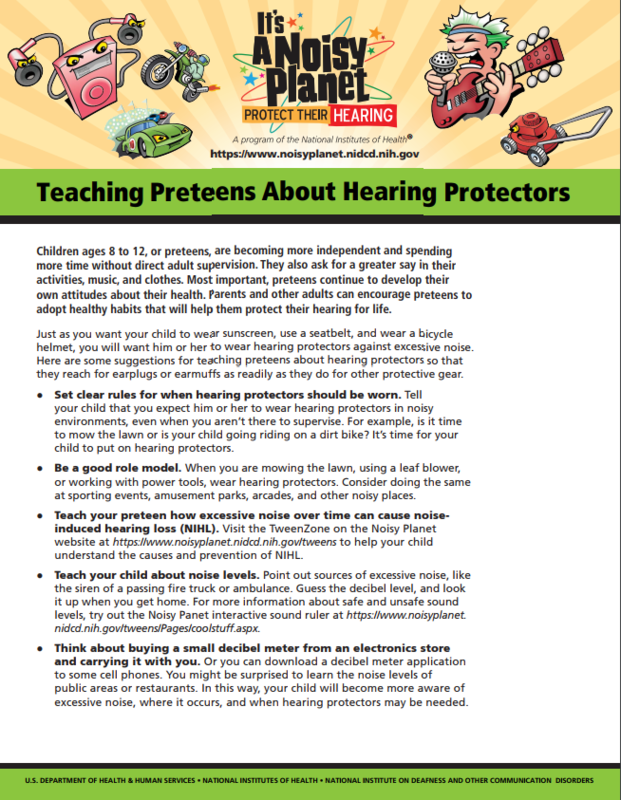 Offers tips on how to encourage preteens to wear hearing protectors. The NIDCD Information Clearinghouse can receive phone and email information inquiries in English, Spanish, and other languages. Click here to learn more about bulk orders. Unfortunately, we are unable to send publications out of the United States. However, all of the NIDCD's fact sheets and other publications are available online.